You are here: Home » 1977 » Fuera De Aqui! Jorge Sanjinés was born 1937. He studied philosophy in Bolivia, then cinema in Chile. Filmmaker and committed theorician, he directed documentaries and long features about dependency, the underdevelopment and the explotation of Indians. Several times, he is forced to leave his country for political reasons. He is with the screenwriter Oscar Soria founder of the Ukumau group, whoch name comes from Sanjines’ first long feature. It advocated for a cinematic expression reflecting the prigins of the country’s situation, trying to emphasize the values of local cultures. 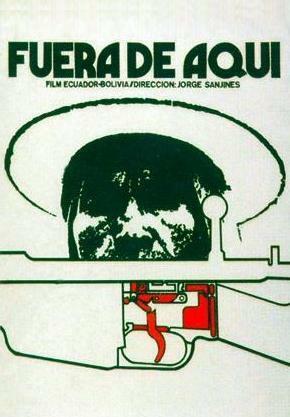 Its films show life as it is perceived by Andean men. This cinematic language is best used in the group’s last film, « La Nacion clandestina » (1989).